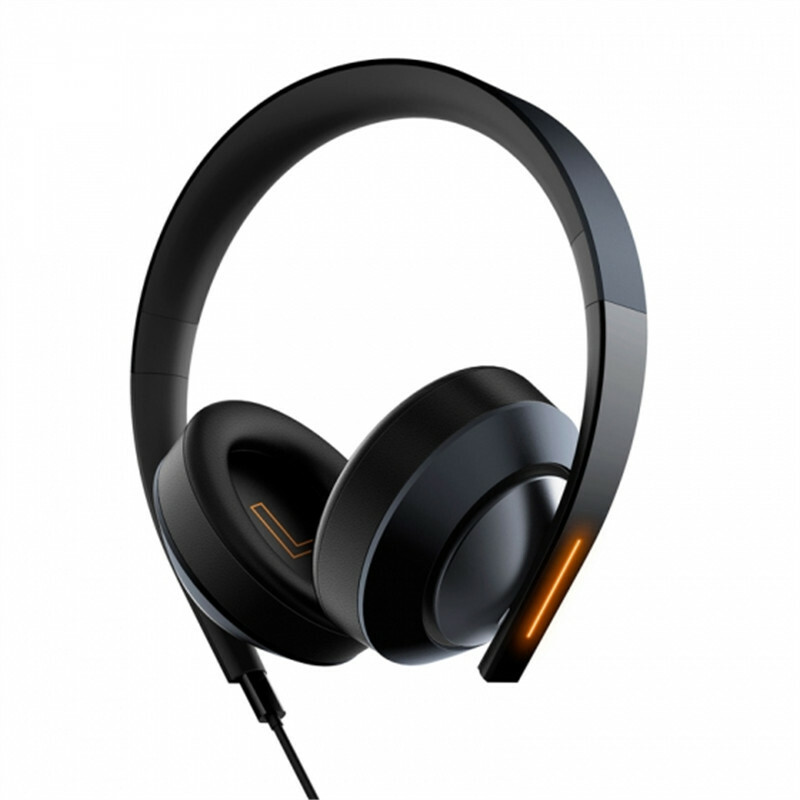 Successfully Added Xiaomi Game Headphones - 40mm Diaphragm, Surround Sound Engine, 3.5mm Audio Jack, USB Connector, LED Light, Built-In Mic to your Shopping Cart. Take your gaming experience to the next level with these state of the art gaming headphones from Xiaomi. With their stylish and comfortable design, these earphones are sure to meet your liking. The headphones themselves have been crafted out of durable ABS material and come with a colorful LED light strip at the side. Thanks to its 3.5mm audio jack and USB connector, you can use these headphones with both your smartphone and PC. Whether you use them for listening to music or playing games, these headphones are sure to deliver an audiophile music experience that you’ll never forget. With its built-in microphone, this gaming headset from Xiaomi can be used for online calls and in-game communication. The headphones have been equipped with a 7.1 virtual surround sound engine which delivers stunning audio effects. Along with its 40mm graphene composite diaphragm, you are guaranteed to undergo an immersive gaming experience when using these high-end gaming headphones from Xiaomi. The noise canceling design makes sure that you won’t get distracted by any outside noises while listening to your music or playing your games. If you’re looking for the best headphones at an affordable price, this beauty is perfect for you. These gaming headphones come with a 12 months warranty, brought to you by the leader in electronic devices as well as wholesale earphones..